BlackBerry has resumed its BBM services starting today, a few weeks after the company was forced to abort its initial roll out plan when an older version of the same got released in September, causing several issues. However, stung by the initial debacle, BlackBerry is holding on to the reins this time and has barred the service from being free to all right away. 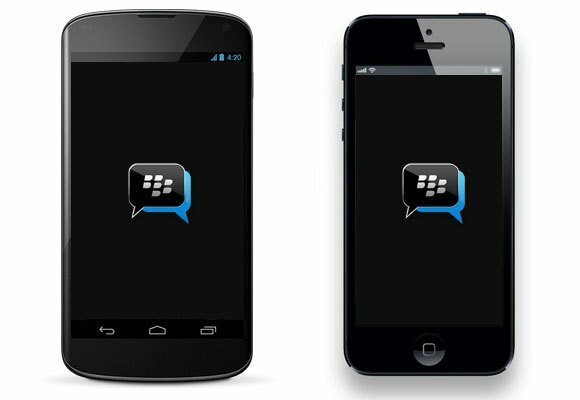 As such, it will be only those who signed up at the BBM site who will be getting to use the app right now on their Android smartphones or iPhone. Others who wish to use the service will be added to a virtual queue, though the Canadian company didn’t reveal how long they will be kept waiting, except that they won’t be kept waiting for too long. “To help manage this unprecedented pent-up demand for BBM, we are implementing a simple line-up system to ensure a smooth rollout,” said Andrew Bocking, head of the BlackBerry BBM business, in a blog post on the official company website. About 6 million users signed up at the company’s BBM site and are rewarded by getting to use the service before others. “If you are among the millions that took the time to sign up at BBM.com, you can start using BBM immediately without waiting in line. If you didn’t sign up in advance, don’t worry – we are focused on moving millions of customers through the line as fast as possible,” said Bocking. BBM has been one of the star attractions of the Canadian company, one that had driven millions into buying their handsets in the past. Times have changed, though with BlackBerry handsets now facing a steep decline in sales worldwide. This has left the company deeply wounded, and experts believe the launch of the BlackBerry Messenger on a rival platform could be a last ditch attempt by the company to help stem the tide. There have also been reports of the company being put up for sale, but earlier rumors had said the company’s executives preferred to split it into several parts before offering it for sale. With BBM looking to acquire a separate identity, this could well be the case. Meanwhile, BBM will have to face stiff competition from others who have already dug deep. These include WhatsApp, Viber, and Skype, as well as Kik, who has developed a dedicated user base that runs into tens of millions. It will be interesting to see what the equation will be now that BBM has entered the scene.